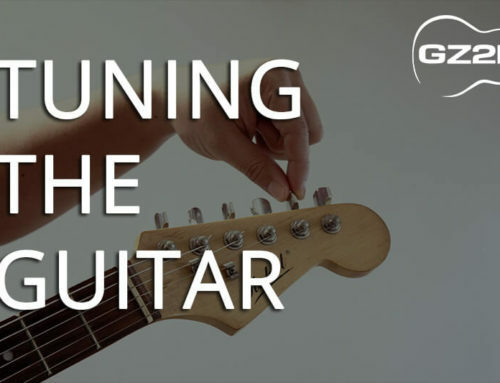 Just like any instrument the guitar is comprised of a number of primary components that you should get to know before we start. 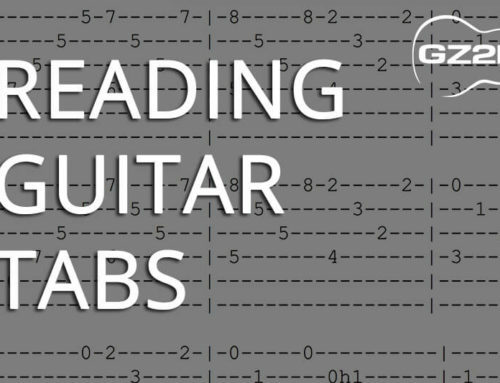 We’ll also run through steps to tuning your guitar correctly. 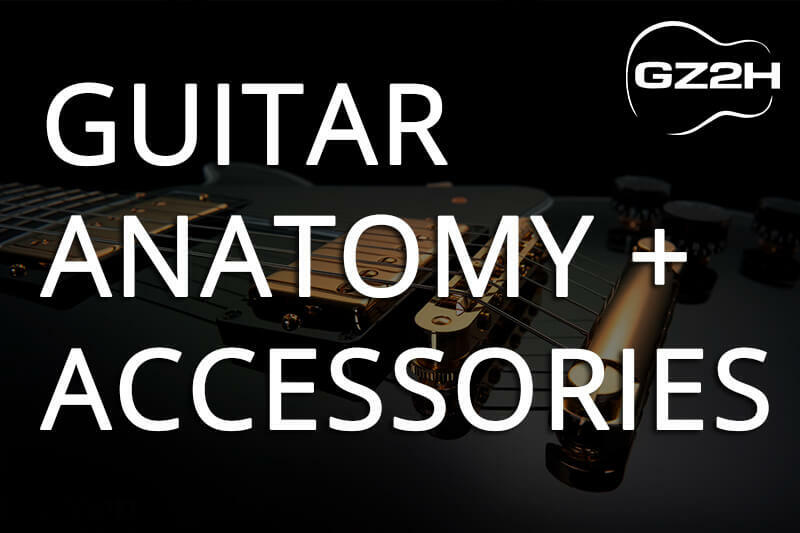 As the name suggests, the body of the guitar is the main wood component of the guitar. For an acoustic guitar the hollow body acts as a natural source of amplification through the circular sound hole. The guitar neck accommodates the strings of the guitar and is broken up into segments called frets. 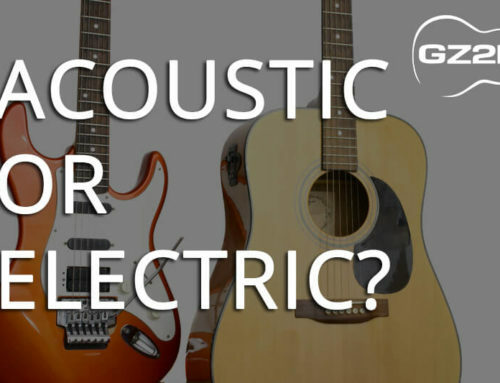 The number of frets varies according to guitar brand and genre, but generally an acoustic will have 15-20 frets and electric guitars will have 22-24 frets that allows for hitting higher pitched notes in solos. The frets are referred to by numbers, for example 1st fret, 6th fret 18th fret etc. The first fret is the fret furthest away from the body. Most guitars will have fret markers (small dots or square inlays on the neck) on the 3rd, 5th, 7th, 9th, 12th, 15th, 17th, 19th and 21st frets as a visual indicator for where you’re playing. They are there for a reason so don’t forget to use them! 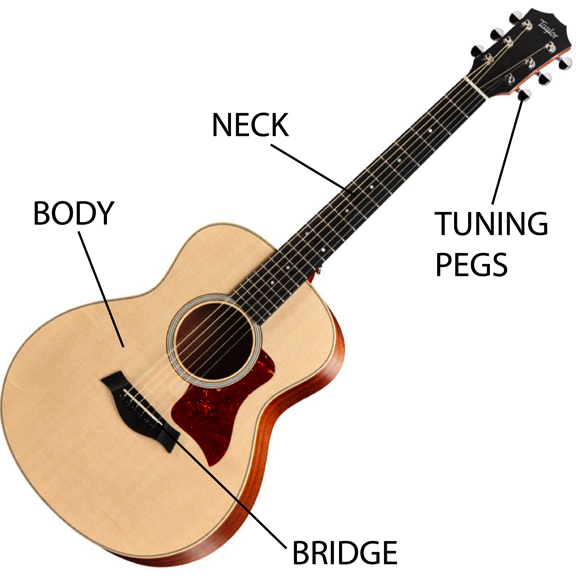 The bridge’s primary function is to hold the strings of the guitar to the body. Another self-explanatory component, the tuning pegs can be adjusted clockwise or anticlockwise in order to adjust the pitch/tuning on your strings. The guitar plectrum and capo are also very common accessories that every singer guitarist should have. The guitar pick is used to strum and pick the strings of the guitar to provide a clear and crisp sound. 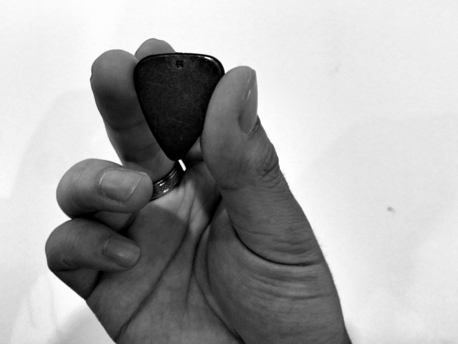 There are many artists who don’t like to use picks but it is very good practice to learn how to play with a pick. When you start developing your playing skills and fingerpicking skills further down the track, then you can experiment without a pick. 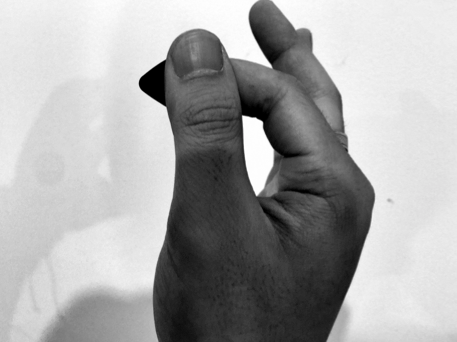 The correct method to holding a pick is by positioning the pick between your thumb and index finger in an OK hand gesture (refer to attached photo). The pointy end of the pick should be perpendicular to your thumb and it is advised that you only have roughly 5mm of the pointy end sticking out. 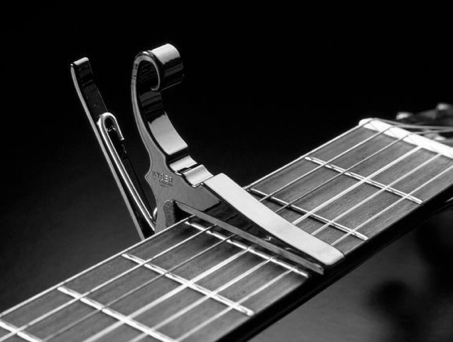 The guitar capo is every singer/songwriters best friend. The accessory itself is basically a clamp that you can position on any fret along your guitar neck. 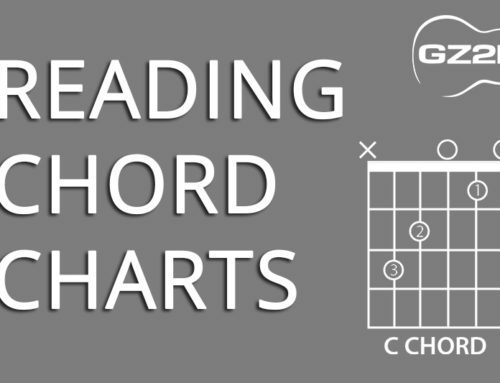 By applying a capo to your guitar neck and playing standard open chord shapes, you are effectively adjusting the key of the song you’re playing. This is extremely beneficial if for example you’re trying to sing a song that is too low for you. By using a capo you can adjust the key in two seconds without having to play different chord shapes! Pretty neat huh? Another lesson on harnessing the potential of the capo coming soon!